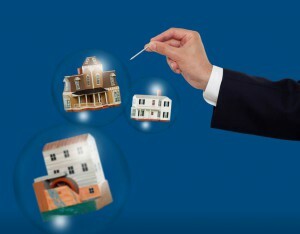 A ticking time bomb for property investors. Prices will fall 40%. Is 60 Minutes right? 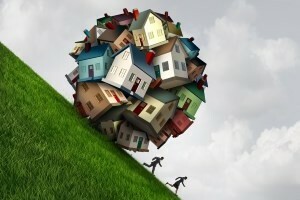 Are property prices in Melbourne and Sydney really going to fall by 40 percent? Well if you believe Channel Nine’s 60 Minutes show last weekend we’re really in for trouble. 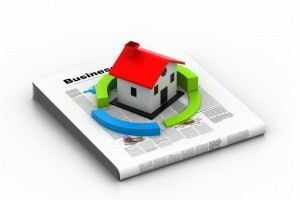 “It’s no secret that Australia is experiencing a downturn in the property market. But for Aussies who own their own home or have a mortgage, there’s worse news. Many believe calling it a downturn is foolishly optimistic – the slump we are in is more like falling off a cliff. It triggered a flurry of emails, Facebook posts and tweets to me as well as a desperate phone call from my sister who has just purchased a house and was in a panic, fearful that she had made a terrible mistake. My response to one concerned tweeter was that I found it curious how Channel 9 ran two fantasies shows one after the other pretending they were reality shows – The Block followed by 60 Minutes. It’s the property version of the Women’s Magazines telling us Jennifer Anniston is pregnant again or Prince Harry and Megan are having a baby. It’s amazing the click bait they get and how many magazines they sell using the same headlines that prove to be wrong over and over again. Earlier this year I interviewed US author Harry Dent on my Podcast. He was on a tour of Australia once again to promote his latest book predicting a coming Global Crisis worse than the GFC or even the Great Depression. Of course, he was wrong, just like he was when he came to Australia and made similar predictions in 2014 and the time before that. And interestingly the time before that too! In 2016 they featured previously unknown US “macroeconomic researcher” Johnathan Tepper who predicted that Australian property prices would crash by 30% to 50%. But after that dire prediction our largest housing markets – Sydney and Melbourne – actually boomed. In 2010 Australian controversial economist Steve Keen told anyone who was prepared to listen to him that house prices would fall 40% in a year. In fact, based on his concerns he sold his house in Sydney only to see the market boom and values double. At the time Keen lost a public bet he made with Rory Robertson, a Macquarie Bank analyst, and had to walk 15 km from Parliament House in Canberra to Mount Kosciuszko wearing a t-shirt that read “I was hopelessly wrong on house prices – ask me how”. Sure, we’re in the slow down phase of the property cycle, but that’s how the property markets work. Booms don’t last forever. It’s worth mentioning that two of the commentators featured in the 60 Minutes program publicly defended themselves afterwards saying that significant portions of their arguments had been omitted from the show. Similarly Martin North of Digital Finance Analytics explained that the segment did not discuss his central (most likely) scenario, and only portrayed a scenario that he rated as a 20 percent chance. I also spoke with another prominent property commentator who had been interviewed for the program, but his more conservative ideas were not aired. I found this interesting considering the good long-term track record of his forecasts. For a property market crash, and that’s different to price growth slowing or the normal cyclically correction, you need desperate sellers willing to give away their properties at fire sale prices and no one willing to buy them. A major depression (not just a recession.) Neither the RBA nor any credible economist is suggesting this will occur in Australia. We have a healthy economy that is the most developed nations. And this won’t change in the near future. 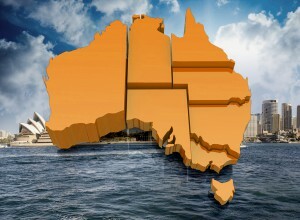 Australia has a “business plan” to growth 40 million residents in the next 3 decades. We’re creating more jobs than we have for a long time. Our banking system is sound, lending standards are tough and mortgage arrears are low. Yes, some investors took on too much debt and became speculators, taking out interest only loans with very small deposits, hoping (speculating) that capital growth would occur. Anyone who borrowed in the last few years was “stress tested” – they could only borrow if they were mot be able to repay their interest if interest rates rose and if they paid principal and interest. Other than in a few specific markets (especially Brisbane high rise apartments) we do not have an oversupply of property. They keep reminding us that household debt in Australia has risen substantially relative to income over the past few decades and is now at a high level relative to other countries. Then they ask what’s going to happen to all those property investors who took out interest only loans and may now have to convert to Principle and Interest? 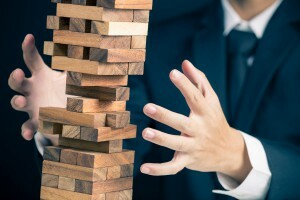 Sure all these raise potential vulnerabilities but a recent speech by Michele Bullock Assistant Governor of the RBA , suggested while these issues are worth watching the situation is not as dire as some commentators would have us believe. In particular much of Australia’s household debt is in the hands of those who can afford it – our wealthiest household sector and strong employment prospects and a relatively steady ratio of repayments to income have meant arrears rates on housing loans remain very low. Firstly, it is important that there is not one property market in Australia, and each state is at its own stage and its own property cycle. Overall, the Sydney and Melbourne property markets are likely to fall another 3 to 5% over the next 12 months but digging into the latest figures from Corelogic there are some locations were property values are holding up and a number of suburbs where property prices are increasing. For as long as I’ve been investing in property, and that’s over 40 years now, there have been doomsayers and “chicken little’s” warning the sky is falling. Please let 60 Minutes know that they are predicting the end of the Australian economy as we know it with these hysterical housing predictions by so called experts.Where is the accurate and balanced reporting? Why is everything being dumbed down to create a sensation in a strong economy with low interest rates,rising population-all helping real estate demand? Shame on 60 Minutes becoming a non reality show. Time the poor folk who are now making buying and selling decisions based on 60 Minutes heard the truth . A mild correction in prices after years of rising prices is not falling off a cliff! Michael – Fantastic analysis, as always. I’ve been waiting for you to respond to the latest round of nonsense, and this article is gold. These dire predictions are coming from these people who have predicted 14 of the last 3 downturns. While capital citys locations are not as volatile as mining areas they can still exhibit fairly volatile market values. As another example I helped my son buy his first property a 3 bed Townhouse in Ashgrove Brisbane about 6 years ago. We bought it as a forced sale and that time it turned out to be the bottom of the Brisbane market cycle. It steadily went up in value every year by 3-6% until it jumped by a massive 15%(>100k) in one year driven by local supply shortages. This has now eased somewhat with all the unit construction in Brisbane but a Queenslander on a large block next door to this Townhouse was moved sideways on the block and upgraded to a 3 pack townhouse with individual titles for each townhouse and one of these recently sold for >900K, a record for the location! Helps when the suburb has one of the highest average incomes in Brisbane! i remember in 2014 when Dent the dickhead said prices would fall 40% – how wrong was he. I am amazed any mainstream media gives him any air-time as any fool can make predictions that dont come true. 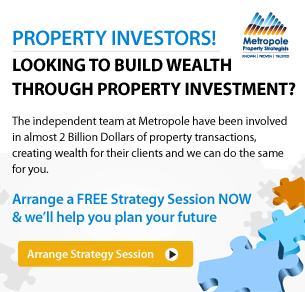 If i had listened to him I would not have made some fantastic capital gains on my properties over the past 4 years. Thanks for your very sensible comments on 60 Minutes programme. Those predictions are just that predictions! Property prices can and do move more than the 40% predicted in SOME areas. For example I live in South East Queensland and my family comes from what is now a western Queensland mining area. Our family’s were original settlers! A few years ago during the mining boom houses and rent out there was VERY expensive. Rent was the highest in Australia at $800/ week for a detached house. Today those same houses are renting for about $200 + / week. There were a lot of houses built to meet the mining boom demand and today you can buy a very nice brick 4 bed 2 bath 2 garage just like any new estate in the major citys for just $125,000! Thats more than a 40% correction over the build price. That town and region now has more infrastructure spent on it in terms of roads and public infrastructure than would have happened in 30 years without mining boom and this happened in less than 5 years! it now has Woolworths and Macdonalds and all the other chic coffee eg Coffee Club. My comment is that that location was dying without the mining boom. Today the area exports significant quantities of natural gas and coal which are both currently expanding. While I am not recommending buying a house in that town but if you are working in mining out there on an average 100k + salary it is worth buying a house there now! There will always be ups and downs in property. The challenge is to buy well to ensute your future.